American Cattle News – August 29th, 2018 | National Dairy Producers Organization Inc.
Organization Inc."Our number one priority is producer profitability for sustainability"
Mike Eby, a retired dairy farmer and chair of the National Dairy Producers Organization was one of those in attendance. 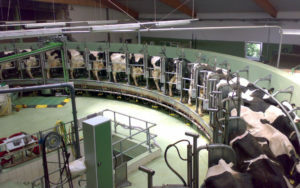 Like many, he’s concerned about the future and long-term viability of the dairy industry. He tells us his reaction to the meeting and the latest from NDPO. Many of the commentary recordings and articles included throughout this website from contributing authors may contain opinions and other content that may not be approved by the board of the National Dairy Producers Organization. Call us at (949)375-450 if you have any questions.